Karon Beach is located on the western side of Phuket island in Thailand. To the north of Karon Beach is Patong the original and very popular tourist town. To the south of Karon is the bohemian Kata Beach. Karon Beach is in the middle – geographically and ambience wise. As Goldilocks once said, “it is just right!”. There are plenty of things to do in Karon Beach that makes it one of the best areas to stay in Phuket for families, couples and empty nesters. 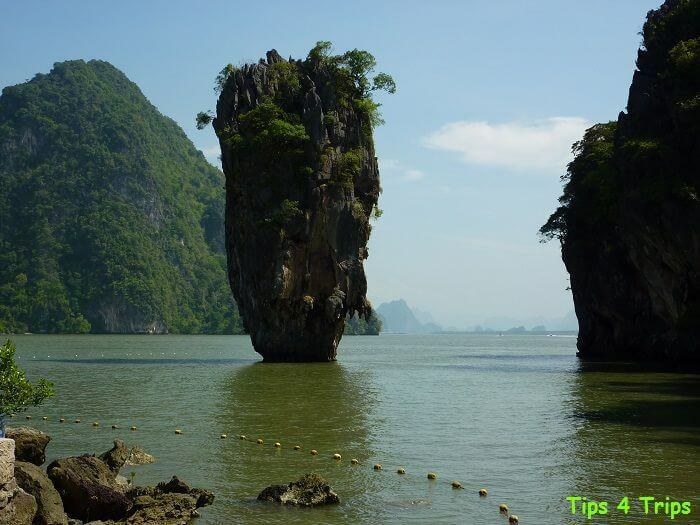 So let’s find what you can do at Karon Beach during your trip to Phuket. It takes about 45minutes to an hour to drive from Phuket International Airport to Karon Beach. If you want an even cheaper option there are two bus services available. Just remember taking a bus will make the journey longer. Or the new Phuket Smart Bus. The Phuket Smart Bus is a cashless system. To use this new bus service you have to purchase a smart card first (can be done at the airport) and then loaded with Thai baht. Once you have settled into your accommodation it is time to explore. Karon is about three kilometres in length making it easy to walk. If you find the heat too oppressive and can’t face walking back to your Karon Beach accommodation you can always catch a red tuk-tuk. Tuk-tuks are everywhere and try to charge the same as a taxi. However, whereas taxis have a set price, tuk-tuks can be negotiated down. Just remember to be polite with your negotiations. If you are going further afield you may prefer the air-conditioned comfort of a taxi. As I just mentioned taxis have a set fee – it is very rare to find a metered taxi in Phuket. All taxis charge the same amount for getting from one village to the next. We even found that booking a taxi from our hotel concierge at the Centara Grand Beach Resort Phuket charged the same amount than if we’d flagged the taxi down on the street. Before heading off in a taxi or tuk-tuk ensure you agree on the price before you depart. You can check out our Centara Grand Beach Resort Phuket review HERE. Then check out the Karon Beach accommodation options and prices HERE on Booking.com or HERE on Expedia. Once you’ve settled into your Karon accommodation the first place to head is the beach. With three-kilometres of white sandy beaches, there’s something for everyone. You can just relax and sunbake, on your little patch of sand or hire deck chairs with a brollie. If the kids start getting tired of building sandcastles there are plenty of playgrounds along the green shaded grassy expanse of Karon Park that separates the Karon Circle road from the beach. You can even workout on the free exercise machines if you’re feeling a bit lazy just hanging on the beach. If you are a bit more of a daredevil there are paragliding excursions to enjoy and view Karon Beach from the sky. The sun is fierce in Thailand ensure you always have sunscreen and a hat. Then stepping away from the beach the first thing you will see is a street filled with shops, day spas and restaurants. When I first visited Karon about 20 years ago there really wasn’t much available beyond a mini-mart and the odd restaurant. But boy have things changed. Yes, there are still plenty of little mini marts to get your essential drinks, snacks and laundry service but now holiday shopping is close by. If you’re looking for great market buys no longer do you need to head to Patong or the Phuket Town Weekend markets? There are market options in Karon. The best is the Karon Temple Markets located within Wat Karon on Patak Road. It is open Tuesday and Friday (not Saturday as you may find other websites advising) from 1600-2200. The market offers everything from deep fried bugs, satay sticks, t-shirts, scarves, pashminas, bags, to soaps and jewellery. If you want some bespoke clothing there are plenty of tailors along the main streets to make a suit or that special dress. However, shopping in air-conditioned comfort isn’t something you will find in Karon. You will have to take a short taxi ride for THB400 to Patong’s Jungcelyon shopping centre. This is the most modern shopping centre in Thailand and offers more than just shops with kids play zone, cinema, bowling and a large upmarket day spa. When shopping at the markets and small shops you will need cash (Thai Baht). Only at Jungceylon will you get to shop with a credit card. If this is all still a little too rich for you there are plenty of local little massage shops along the main streets. Finding a good one is trial and error. The first one I visit on Patak Road the staff chatter non-stop, even though I can’t understand a word of what they were saying, I cannot relax due to the constant chit-chat. A few days later, I venture out again. This time I walk along the beach road and come across Thai Karon Massage, just south of Karon Circle. I wish I’d found this earlier, very tranquil and relaxing. At any one of the local Karon Thai massage day spas expect to pay approximately THB350 for 60 minutes full body massage. You will find day spa menus with prices out the front of all day spas. Once you’ve started to unwind on your Phuket holiday it’s time to start exploring further afield. Took a Walk on the Wild Side at Siam Safari Elephant Camp. Siam Safari is now closed, a bit of a shame as it was an elephant camp that treated their elephants humanely. There are still plenty of elephant trekking companies about. I would just suggest you do your research as to how the animals are treated. This goes for elephant bathing as well. The most humane elephant experience I have researched is the Elephant Safari in Phuket where you only feed and observe the elephants. Then we enjoyed the Spectacle that is FantaSea. This is truly a magical performance. However, it does include performances by many different animals including elephants. More animals can be experienced at close range in the Phuket Zoo. You can get a photo taken with a tiger. We haven’t visited the zoo but just wanted to let you know it was there. Times have changed and we in the world are becoming more educated and compassionate as to how we treat animals. 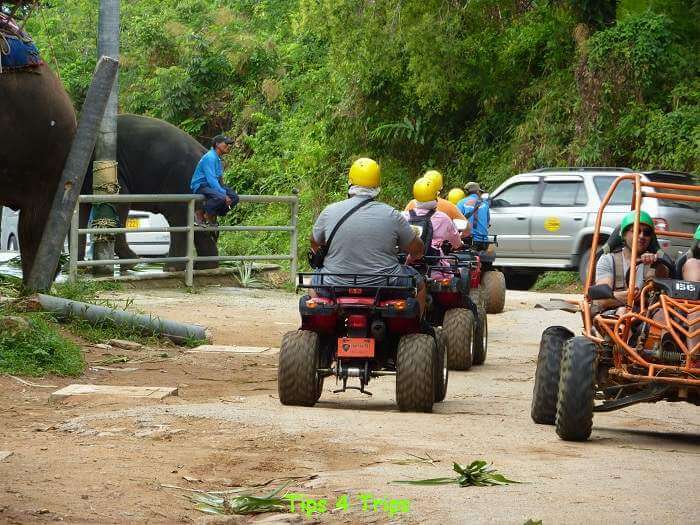 Taking a Phuket ATV Tour up to Big Buddha. More on these day trips coming soon. Follow us on Facebook to learn when these posts are published. If you would like you can book tours through Viator or Expedia. At the end of your day trips you are always brought back to your accommodation and it is time to find dinner. There are so many options for eating out in Karon Beach. Most of the Karon Beach restaurants can be found on Patak Road. This is the road heading inland from Karon Circle. You will find food options from grilled street foods, pizza, pasta, schnitzels, fresh seafood and Asian cuisine. Just about all the Karon Beach restaurants offer kids menus as well. And most restaurants offer an inclusive salad buffet. Expect to pay for your evening meals about THB200 per dish. Drinks are THB190 and soft drinks THB100. We didn’t have a bad meal during our entire Phuket holiday, but our favourite Karon restaurant was Louis Kitchen. Early in the evenings, Karon is quite lively. No doubt due to the bulk of the tourists being family or empty nesters. We are all early starters. But this doesn’t mean we are all tucked up in bed by 8pm. Once the meals are finished people wonder the streets, perusing the little street stalls, making their way to or from the Karon Temple Markets or Karon Bazaar. Then for dessert, they get one of these freshly made fruit icecreams for THB80. They are really filling. – it’s best to share. There are also a couple of local pubs with live classic rock music enticing the older crowd in for an after-dinner drink or three. These are not pubs aimed at the super young hip crowds. They are focused on entertaining couples and senior singles looking for a fun evening. I have to admit I’m not sure what time it all finishes up as we are on a family holiday in Phuket with a ten-year-old, we don’t stay out too late. And that’s because there are so many things to do in Karon Beach, we need our sleep to enjoy the next day’s adventure in Phuket. 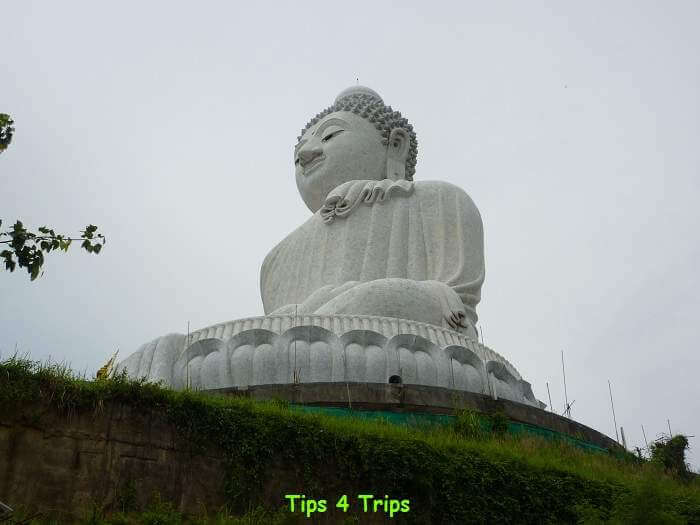 Top Trip Tips: Planning a Holiday and Finding Things to Do in Karon Beach, Phuket. Karon Beach is located on the western side of the Phuket Island in the south of Thailand. Phuket can be reached by air landing at Phuket International Airport, by the road crossing the Sarasin Bridge built in 1967 or by cruise ship docking at Phuket Port about a one hour drive to Karon, unless your cruise ship is tendering boats to the Patong Bay jetty for day excursions then you are only 5-10 minutes away from Karon. There are plenty of official exchange booths along the main streets of Karon. Most offer the same exchange rate but not all. Double check a couple before making your exchange. Some exchange booths may also ask for your passport. They are not doing anything dodgy with your passport, it is actually more official if they have asked for it. But if you have forgotten your passport just move onto the next booth. Please remember the exchange rate is constantly changing refer to Currency Exchange for today’s rate. Be sun smart pack a hat and sunscreen. You’ll want to swim. Pack swimming clothes and thongs/flipflops. Prepare for treacherous walks. There are potholes and the concrete drain covers are not the most sturdy. Pack good quality walking shoes. It’s not fancy at night. You don’t need your high heels let alone your best frock. The evenings are still very hot so try to stay as cool and comfortable as possible. The mozzies come out in the evenings. Pack insect repellant. Even include one of those plugin in ones for your hotel room. To receive your free Trip Packing List and more travel tips please confirm your email address. This confirmation email may be found in your junk box (Outlook) or updates folder (Gmail). To find out more about Karon Beach, the island of Phuket and Thailand visit Thailands official tourism website Amazing Thailand. Just use the social buttons to the left of the screen. We paid all our own costs.